In order to make a cylinder really sharp as well as to keep it sharp for as long as possible, it should be sharpened so that the edge obtains a convex shape with the correct angle. 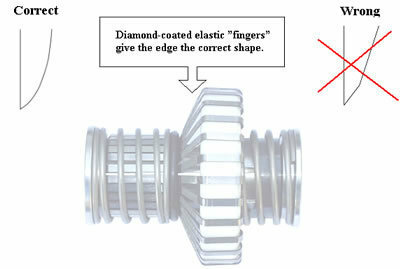 SharpX CYLINDER achieves this through a patent pending technique with elastic diamond-coated blades or "fingers". 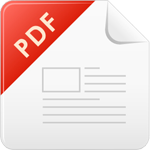 When the rotating cylinder is brought into the rotating grinding head, the "fingers" will bend into the correct angle and sharpen the cylinder into the desired form and the edge will always remain correct. When the rotating blade is brought into the grinding head, the two rollers will move towards the coil springs. At the same time the elastic diamond-coated "fingers" are bent into the desired convex form which gives the edge a superior sharpness and durability, compared to conventional grinding methods. The rotating diamond-coated grinding head sharpens the blade easily and quickly and with the correct angle on both sides simultaneously. 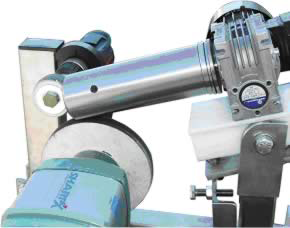 SharpX CYLINDER polishes the blade by means of a separate drive unit, giving the edge the correct angle and optimum sharpness. SHARPX develops and manufactures equipment used in meat and fish industries as well as other areas of food industries, shops, restaurants and for consumer needs. 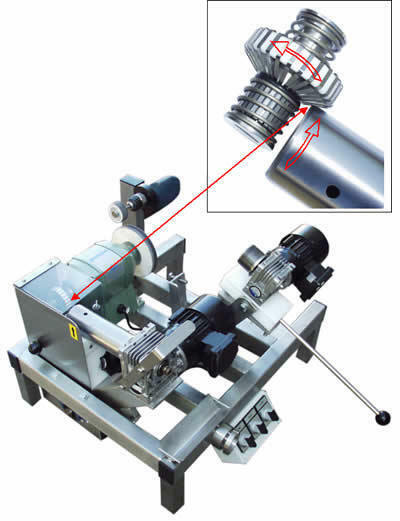 In recent years, intensive development has taken place for the development and manufacture of new knife sharpening system with patented SharpX technology.